It may be the first watch to ever measure (and show) what 1/1000th of a second looks like, but your friends down the pub won't care for that. They'll just keep asking you to "make it fly again!" 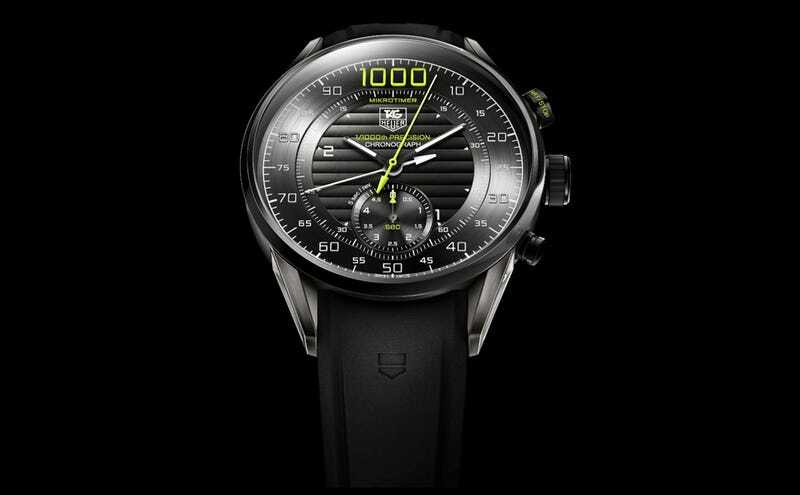 Tag Heuer has apparently applied for 11 different patents with this Mikrotimer Flying 1000 watch, and if granted that'd be a record-breaker apparently. The real prize is that 1/1000th second-measuring dial, which makes 10 rotations for every second.